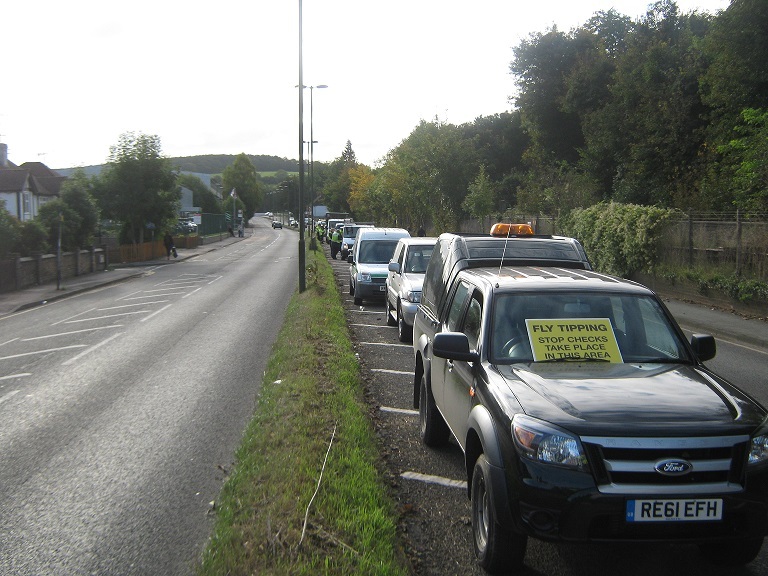 A joint vehicle stop and check operation took place on Wednesday 19 October, run by officers from Tandridge District Council and Reigate and Banstead Borough Council, working with Surrey Police. The stop check was held on the A22 at Whyteleafe and concentrated on commercial vehicles to ensure they were registered to dispose of waste. Waste carriers are also required to carry a completed waste transfer note. In total 55 vehicles were stopped and following checks with the Environment Agency, five companies received written advice to ensure they meet all regulations.